In a bid to enhance value for money in the New Direction administration, the Deputy Minister of Finance, Dr. Patricia Nyanga Laverley has commenced the inspection of various infrastructure projects across the country starting with the Hillside Bye Pass and Lumley to Tokeh roads projects. Speaking to the Consultant about the progress of the hillside bye pass road project, the Deputy Minister said the essence of the inspection is to promote transparency and to ensure the funds given to the contractors are utilized for their intended purposes. She called on the contractors, the Sierra Leone Roads Authority (SLRA) and contractors to speed up with the construction of the road whilst assuring them of government’s commitment to the road project. 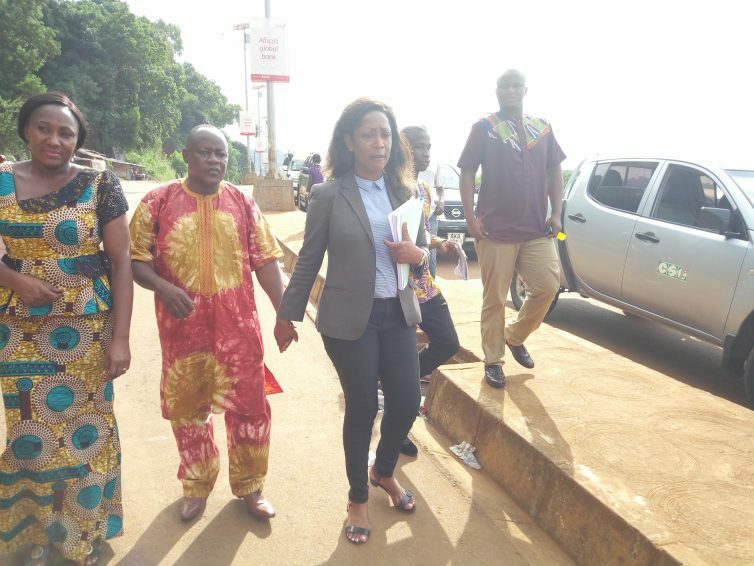 She maintained that the hillside bye pass road if completed would reduce the traffic congestion along Kissy road in the central part of Freetown. According to Sam Aruna Director of Multilateral Projects division at the Ministry of the Finance the first phase of the project (From Pademba Road to Mountain Cut was funded by BADEA and the Second phase (From Mountain Cut to Blackhall Road) will cost around 28 million dollar of which 70 percent of the Project budget is funded by Kuwait fund and 30 percent counterpart funding by the Government of Sierra Leone. Arthur Davies senior Engineer at the Sierra Leone Roads Authority stated that one major challenge the project is faced with is compensation, “the story of this road is that there were no existing road we are creating new road by demolishing properties along the road corridor” he added. Arthur Davies continued that compensation has been a serious challenge for government, where government has paid up to about 90% of the cash compensation but most of the people have not received the land by the ministry of Lands that is part of the package. Giving an update on the progress made so far on the road project, Prince Coker, Resident Engineer Hillside Bye Pass Road working for the TechSult Company and Consulting said some of the major challenges have to do with topography of the road, payment, demolition of houses among others, noting that it was initially a two lane but has been reviewed to four lanes and will now connect with Bai Bureh Road instead of Black hall road. Responding to the deputy minister‘s questions, the Country Manager of Compagnie Sahellenne d’Enterprises (CSE), Amadu Gaye said the Lumley to Tokeh road construction project was stalled during the rains but will commence very soon especially with commitment from the government to support the project, pointing out that much progress would have been made before December for the next visit after the minster asked about the assurance in speeding up the road project. The early history of the project dated as far back as 1968 when the Ministry of Works conducted the initial studies for the Hillside Bye Pass Road. 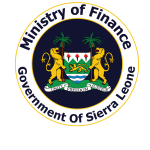 The minister was accompanied by senior staff from the Ministry of Finance, SLRA staff and the Consultants from the various companies.